Happy spring, friends! Ah, I’m so happy to be back in this space with you! I’ve been quiet around the blog lately, but a whole lot has been going on. How about a quick personal update before we jump into the 10×10? WE MOVED! // You might have seen this on Instagram, but we moved in February! Aaron and I sold our sweet house in Abilene, and moved about 3 hours down the road to the Dallas/Ft. Worth area for his job. It was hard to leave Abilene, our friends, my family, and our house. I was emotional for weeks. But DFW has always been a sort of home away from home: my in-laws live here, my brother lives here, my parents come visit all the time — I even lived here for a short spell back when Aaron and I were dating. So while it was a sudden change, it feels pretty fantastic at this point — I’m energized by all the newness around me. We’re loving our new little house, exploring our neighborhood, settling into a new routine, and making new friends. NEW SITE! // I’ve also got a fresh new site design! Isn’t she a beaut? My girl Carissa of Love Riot Co. designed it and she knocked it out of the park! We decided to ditch the sidebar to give everything an uncluttered look. Now you can easily browse post categories from the top menu, plus I have a new shop page that features my seasonal closet picks. And the most personal piece of the design? The new logo — I made it myself, and while I wouldn’t consider myself a handletter-er (or even a person with great penmanship), it feels so personal and meaningful to have my logo in my own handwriting. I hope you enjoy the new site as much as we enjoyed creating it! Now let’s get down to the spring 10×10 challenge! 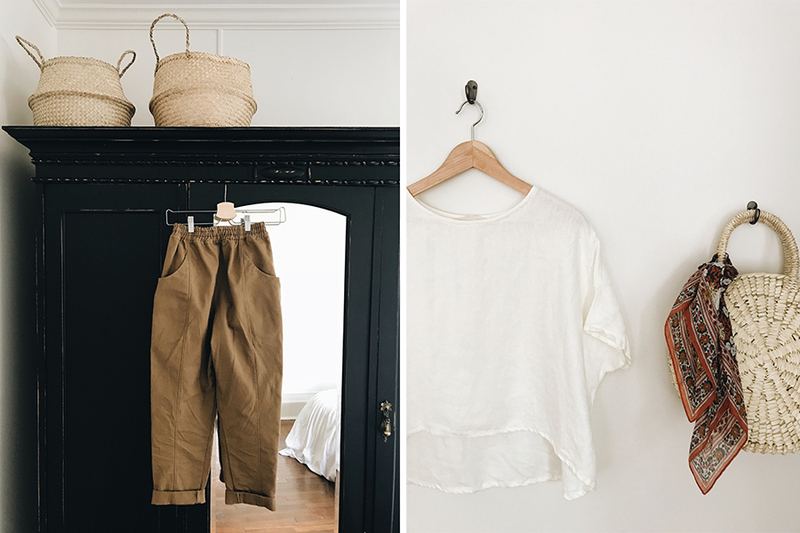 Each season, I get to host this little wardrobe challenge alongside my blogging pal (and 10×10 creator!) Lee of Style Bee. But this 10×10 is extra special because we invited one of our favorite designers to co-host the challenge with us. So please join me in welcoming Elizabeth Suzann as our first official designer co-host! I couldn’t be more thrilled about having Liz join us. She’s a natural fit for the 10×10 community. Years ago, when I discovered her, I was immediately drawn to the way she creates and sources her clothing responsibly, down to the last detail. But it’s the wearability and durability of her pieces that kept her at the top of my list — machine washable silk and linen? Yes, please. Anyway, all that to say, Liz, Lee and I are excited and grateful to connect with all of you #10x10friends again, try something new together, and soak up positive vibes from each other. 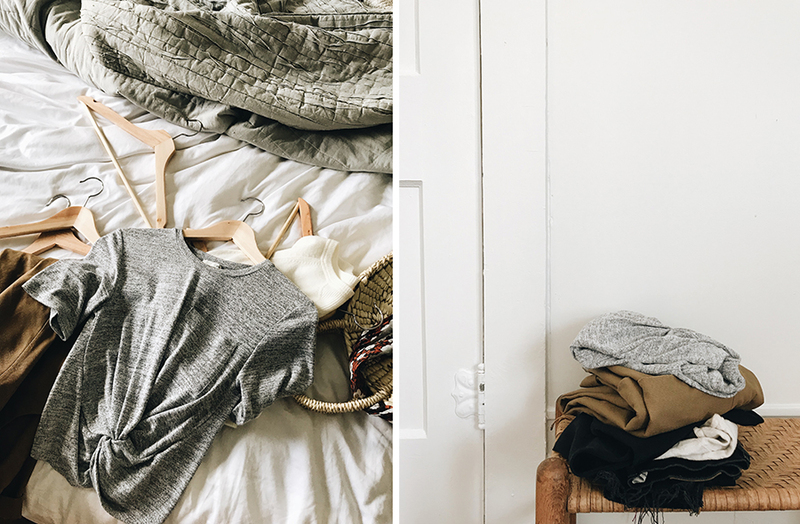 Here’s how it works: Pick 10 items of clothing from your closet. Include tops, bottoms, and shoes for your everyday life. 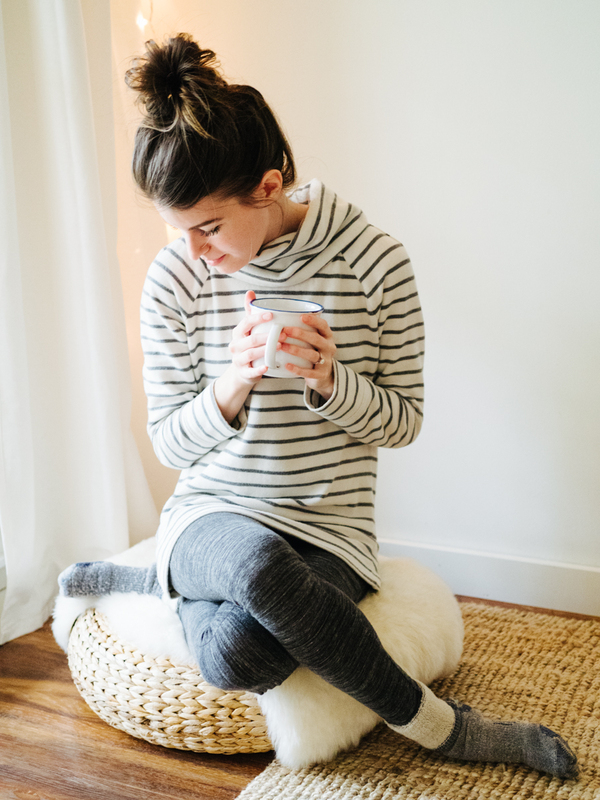 Don’t include accessories, outerwear, bags, PJs, or gym clothes — they can flow in and out freely. Then, for 10 days, create a new outfit each day using your 10 items. Instead, it’s all about trying something new and having fun. This isn’t a serious, rule-based challenge. Sure, it has guidelines, but really, it’s less about the success of the challenge, and more about what it teaches us along the way. Everyone has a different reason for jumping in. Some people do it to test drive a minimalist wardrobe without the commitment. Some use it as a trial run to pack for an upcoming trip. Some do it to find like-minded style friends through the #10x10friends hashtag. And some do it to push their outfit-making creativity to new heights. Whatever your reason, Liz, Lee and I would love for you to join us in the spirit of lightheartedness. Our forecast looks a little all over the place for the next 10 days — cloudy days, stormy days, sunny days, with temperatures ranging from the 40’s to the 80’s — so I did my best and am crossing my fingers it’ll all work out. PLUS I left one Wild Card spot for flexibility later on in the challenge. You could use this formula, too, if you’re not quite sure where to start. Ready to try a 10×10 for yourself? 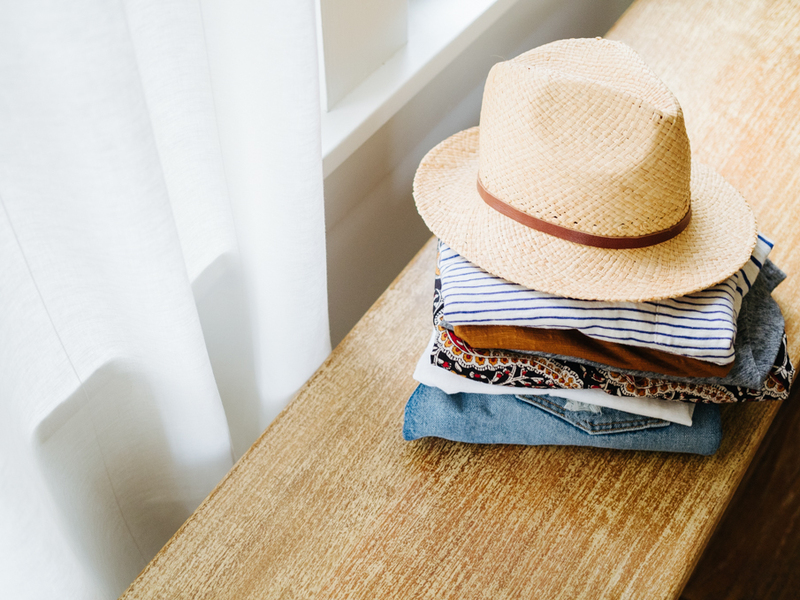 Keep it easy and approach it as if you’re packing for a trip. Crazy weather? Play around and see what happens anyway! Don’t have the classic “spring” weather? No one else does either. ;) The 10×10 is all about rolling with the punches and dressing for your lifestyle, weather, and needs — no matter what that looks like. Oh! And, just to be clear, life activities (gym, sleeping, etc) still call for work out wear and PJ/loungewear, so those can still go on in the background like usual. 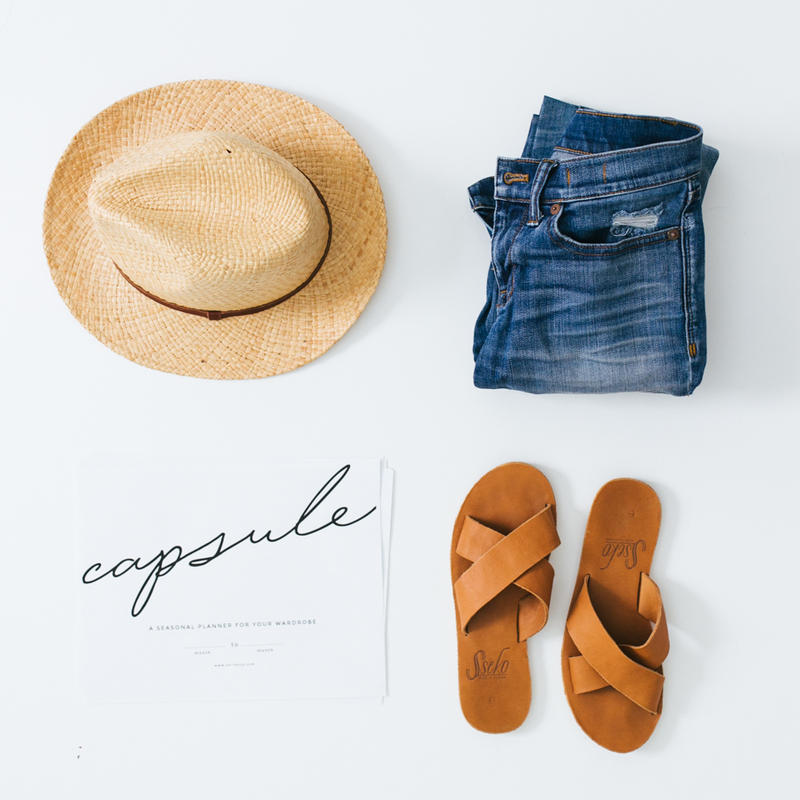 Gather two or three foundational pieces you know you’ll include, like jeans and your favorite pair of shoes. COLOR PALETTE. 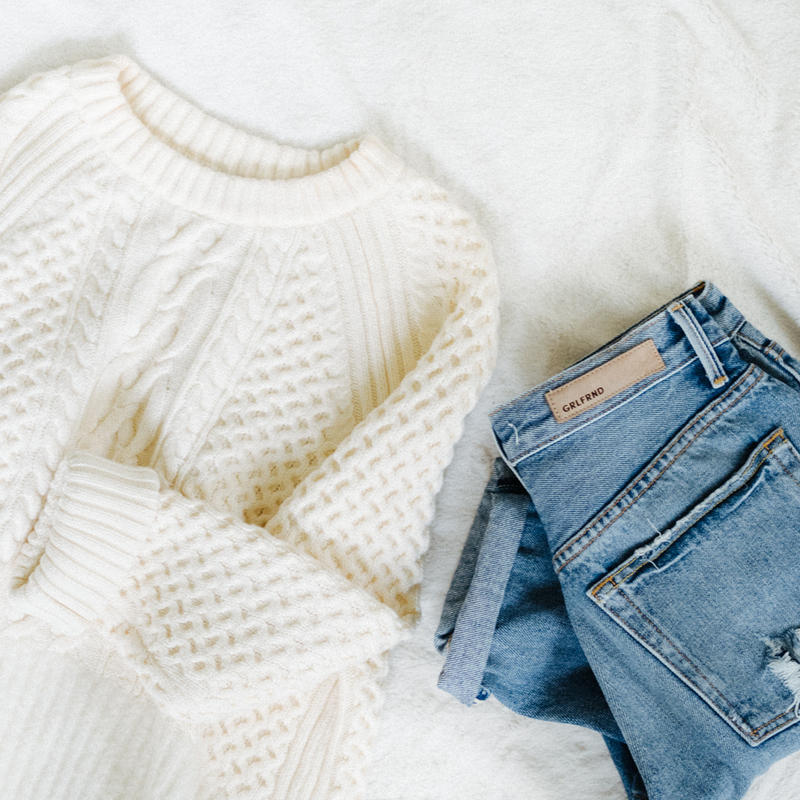 Keep it minimal and neutral so you can easily mix and match. Ask yourself, what colors go with the basics you already pulled? And finally, make any adjustments you need. Perhaps you’d rather not include shoes this time. Perhaps you’d rather include 12 pieces instead of 10. Feel free to ditch the guidelines and make it your own. WANT A $100 GIFT CARD TO ELIZABETH SUZANN? SURE YOU DO! Since Liz is our first-ever 10×10 designer co-host, we put our heads together and decided to celebrate BIG TIME by giving away 10 prizes to 10 different people. Each winner will receive a $100 gift card to Elizabeth Suzann (plus copies of our three favorite books)! How do I enter? 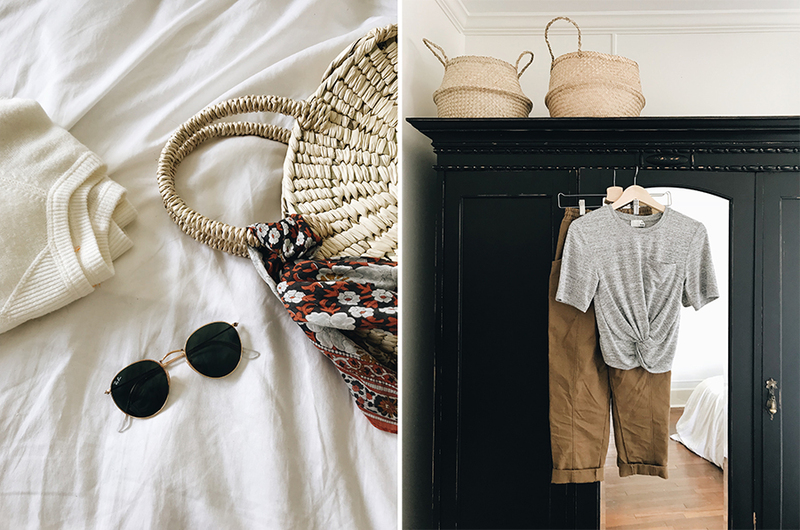 // To enter, simply participate in the 10×10 challenge by posting your daily outfits to your Instagram feed, using the tags #ES10x10, #spring10x10, and #10x10friends. Make sure to use all three tags, not just one of them. Do Instagram Stories count? // No. We’ll be choosing the winners from the hashtags at the end of the challenge so we’ll need to be able to refer back to the photos on your feed. Do I need to own ES clothes to enter? // No. However, if you do happen to own an ES piece, it could be a fun opportunity to include it, especially since Liz is our designer co-host. Is the giveaway open worldwide? // Yes! I have a private Instagram account. How can I participate? // Some people create a separate Instagram account to document their 10×10 challenges. When will the winners be announced? // On April 9th — so make sure to get any and all of your outfits posted to Instagram before that date! And there you have it! The spring 10×10 is underway! So, for the next 10 days (starting today! ), Liz, Lee and I will share our remixed outfits on Instagram — I’m @carolinejoy and Lee is @leevosburgh and Liz is @elizsuzann. Are you joining in? I can’t wait to see your outfits! 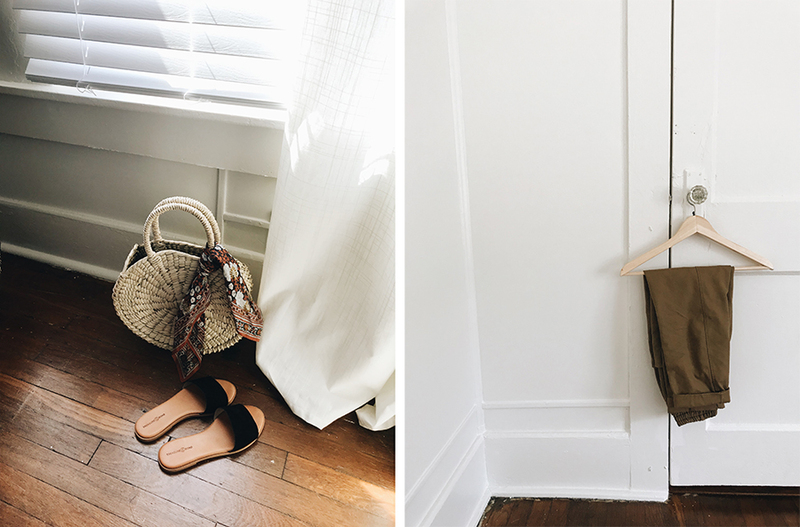 Instagram your first outfit today and tag it #spring10x10 so we can all follow along. And if you’d like to enter the Elizabeth Suzann giveaway, don’t forget to use all three hashtags: #es10x10 #10x10friends #spring10x10. Now I want to hear from you! We all have different reasons for doing this — what’s your motivation for joining this time? Do you have a particular intention in mind or are you going into this without any expectations? Share away in the comments! Beautiful in SO many ways. Your new life. Being refreshed. 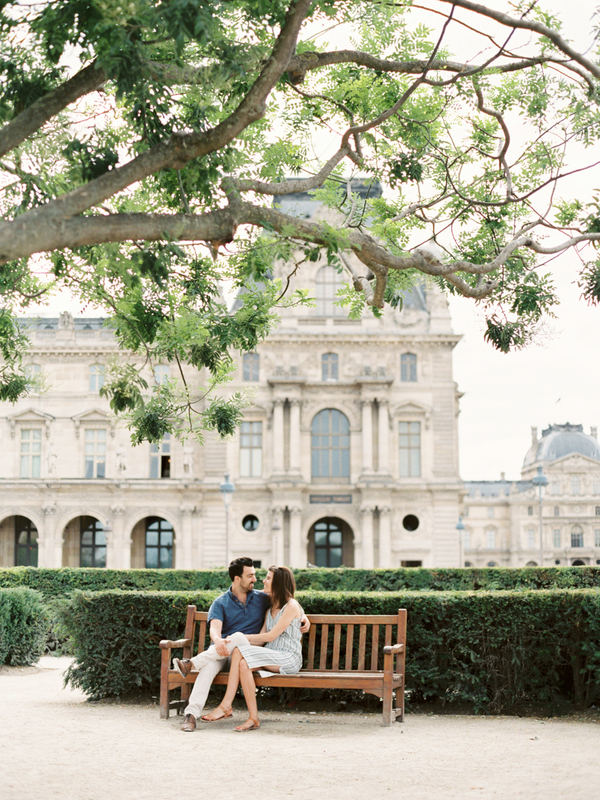 Amazing new cite…. I love your picks! Anything ES is sure to catch my eye, but I also love those shoes! I was also hoping you could tell me where that woven bag is from?! It’s absolutely stunning! I was ECSTATIC to see this blog post pop up in my inbox. Love all these picks! Welcome back and welcome to Forth Worth Funky Town!! I’m so excited to participate this time around, and even more excited to have you back in the blog world! You da best! So happy for you! I have been thinking about how you are doing lately. Both because of my curiousity about your yoga instructor job and because I wanted to thank you for once telling about Frye boots. I got myself a pair on sale a while ago and this winter (that still won’t let go here in Scandinavia) I felt both warm AND stylish every time I put my Frye boots on! !! So thank you and I wish you all the best! Welcome to Fort Worth!! I love it here! This is so fun! I have been off IG during Lent but I saw your post and can’t wait to start! I’m currently wearing the ES Cecilia pants today anyway! Love these challenges. Thanks for hosting! I’ve been a fan for around a year of both you and Lee! I also own two pieces of Elizabeth Suzanne clothes (love them)! But the real reason I’m going for the 10 X 10 challenge is for the learning process that I know will take place. I’m looking to really hone in on “my” style so that I can “be myself” on the outside just as I am on the inside! Love the new website and am SO happy you’re back at it! I hope you’ll begin posting with frequency again. Do you own everything you link to in the shop or is it just stuff you like? You should add a books/music section to it! Would be great to see another home tour now that you have a new place too. So much to look forward to – happy spring! I’ve been missing your blog. I’m so happy you’re back. This is my first time, and I am so excited! I downloaded the worksheet from Style Bee. I, like you, had a hard time figuring out my last item. I like your wild card idea! I’m trying this for a few reasons. I’ve been a longtime fan of your blog! Also, in Minnesota, spring is not really here yet and I want to take a new look at the winter clothes I have been wearing for months. I’m hoping by the time these 10 days are over, spring will be (almost) here. :) And this is a productive, fun thing to do while waiting! Thanks for your great work, Caroline. I so appreciate it. Please!? Someone sell me on the convenience of a jumpsuit? Am I totally missing something? Jumpsuits are awesome, like a dress it is a ‘complete’ outfit, so no need to spend time deciding what top to wear with what bottom. I also find them a fun and playful alternative to wearing a dress. Wear what you love, so if jumpsuits aren’t your thing, try something else. Haha! I hear you Sally! It can be a little cumbersome with zippers/ties/buttons/etc. Woo-hoo! So glad you’re back on the blog, Caroline! The site looks great and I’m glad to hear everything else is going well for you. I don’t know if I’ll be participating in the 10×10 this go around, but I’ll definitely be a spectator, at least :) Also, getting ES to join you guys on this is SO awesome! So fun! We live in Fort Worth! It’s a great town. If you don’t have Easter plans, come to Christ Chapel Bible Church. Congrats for your latest life events! The website indeed has a personal note and I am happy to see you shining. I have been following your website for almost three years now and I can see you evolving and growing in a beautiful, sensitive and caring lady. I would like to take part of this challenge as I am always courious and like to challenge myself, especially when it comes to my personal style. Love the look of the grey crop tee. I am 5′ tall but am self-conscious about my tummy. Is it really short? I love, love, love your round wicker bag. Please post the brand or similar! I’ve been looking for one this season and can’t quite find it. So glad you are back! You were missed! Excited to learn and be inspired by you again! I wasn’t sure I was going to try this, but now I want to! Not sure how to do the Instagram/# thing though. Any tips? Yay!!! So glad you’re back :D I missed your posts…. Loved your 10×10 pieces this time around! Lots of linen. I just picked my pieces… will be posting soon :) Hugs!!!!! Love the new design and excited to see your 10×10 come to life! I’m joining, but won’t be able to start until Monday as we’re out of town until then. It’s funny to think of my first 10×10, which was a year ago, and how I’ve progressed through the next few. My wardrobe went through a major transition last year thanks to all three of you: you, Lee, and Elizabeth. My spring 10×10 was a bit iffy, but by summer and fall, I loved every piece and outfit I wore! Thanks so much for hosting! I’m so excited for this challenge, and can I just say that those pants are speaking to me!! I have been looking for a pair just like that and this might finally be their moment. 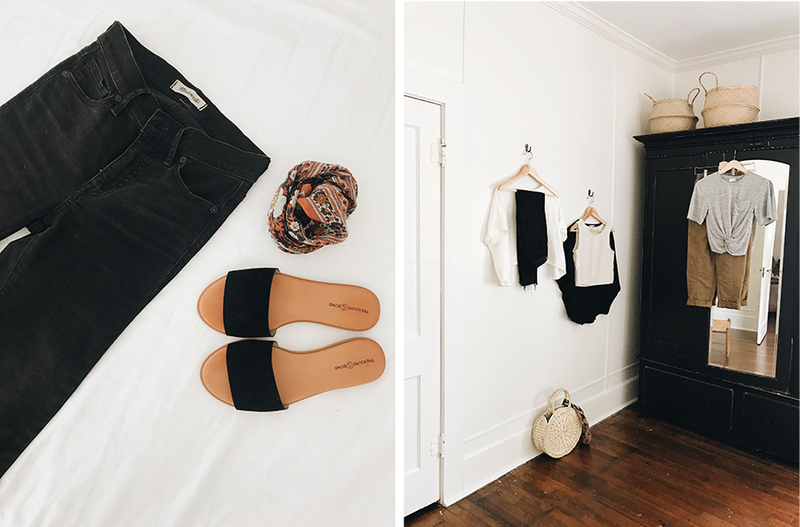 Thanks so much for hosting this challenge yet again and inspiring us all with your capsule wardrobe! Sooooo thrilled to see you back! I missed the 10×10 last year and woo-hoo, here we go, 2018! I’m gonna try my best to not overthink it and just jump in NOW! Welcome to ElizSuzann – I’m in true love with her beautiful work! I probably can’t wait to buy just one ES piece but am gonna do whatever it takes to try and win that giveaway ! Thanks for this, and all your posts! My fave blog, no lie! A warm and hearty Welcome Back to you, Caroline! 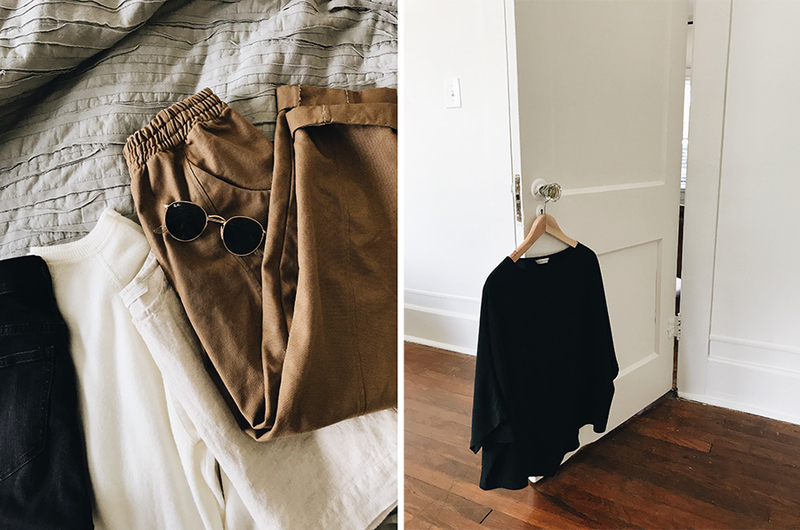 Your perspective on capsule wardrobing is such a valuable asset to our community, your blog was the final catalyst for me to simplify my wardrobe over 4 years ago. That first step towards minimalism has resulted in so many changes for good for me and for my sweet hubs and bubs, I’d never dream of going back now. I’m also grateful for the Real that you share, it’s an encouragement to me during my own walks thru quiet seasons. Best to you, and to wonderful new adventures in the DFW! I want to do the challenge to help reduce decision fatigue in my life and to be simple. Welcome back!! Here in Australia I’ve just been revisiting your Fall capsule! Welcome to the DFW area! I live in Oak Cliff over in Dallas but it’s my dream to move to the Fairmont neighborhood in FW. I hope you and your husband feel welcome and cozy in your new home! I miss TX!! I bounced around from San Antonio, North Austin, and Fort Worth the first 4 years after college. The Canadian border of NY is a little different to say the least! Welcome back! Glad to hear things are going well – we just visited Ft. Worth for the first time and really enjoyed its vibe. Love your picks and can’t wait to see how you style them! Welcome back Caroline! I am so happy to see your blog back! Just one suggestion, especially since your giveaway is open worldwide (Yeayyyyy!!!! )….many of us are not entering Spring but Autumn, after a long Summer! Yes, it means that any clothing and styling choices will involve similar clothing, but how about adding something like #NorthSpring10x10 and #SouthFall10x10, to recognize your southern followers? Saving up for an ES piece, as they are expensive, but have my eyes on her jumpsuits and silk tops…. I’ve been checking your blog twice weekly since you took your break & I am thrilled you’re back, on multiple levels – wahoooooo! Hey, Caroline. The site looks fantastic, and it’s great you got to make the logo! It looks awesome. How is yoga training going? Was that able to continue? Hope you are doing well in the transition to Fort Worth, and that the Universe is supporting you as you make these discoveries about your new space, new place, and new roles as a blogger and advocate for change!